When we start a job, we always make sure that communication both among the crew and with the client is consistent and reliable. When you work with us, you can rest assured that our process is as transparent as it is professional. 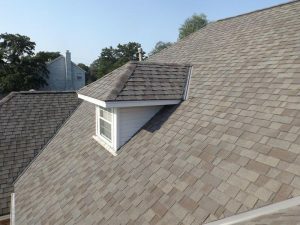 Our demonstration of quality work on every project we do has allowed us to establish ourselves as a great roofing contractor in Cedar Rapids. It gives us great pride to be able to serve our neighbors in this community, and all of our services are available for commercial and residential work. Our company has been serving Iowa for years, and our experience will will provide our Cedar Rapids Corridor customers with peace of mind. We are a professional roofing contractor that will always strive to provide quality workmanship using only the best materials available. Beautiful Cedar Rapids in the county seat of Linn County, and has a population of about 126,000. This city lies on both sides of the Cedar River, which is where the city gets its name. However, the first name of the town was “Columbus”, which was the name given to it by William Stone in 1838 when the town was first established. The first permanent settler arrived earlier that same year. His name was Osgood Shepherd. The city has a long history with food production. In the late 1800’s, the growth of the meatpacking industry helped put Cedar Rapids on the map as an economic up and comer. Nowadays, this town has become one of the largest corn processing locations in the world. There are several large employers located in town, which make it a great place to work and live. For visitors, there are plenty of activities that are fun for the whole family. First of all, the town features over 3,000 acres of land devoted to green space, parks, and recreation areas. Even though winters can be a bit severe, the spring, summer, and fall offer plenty of time to enjoy the outdoors. You can easily take your kids to a city pool, or rent a park pavilion and have a grand picnic. There also over 1,500 recreation programs offered by the city every year. Museums and tourist attractions include the Cedar Rapids Musem of Art, the National Czech and Slovak Museum and Library, the Paramount Theatre, the Theatre Cedar Rapids, the African American Historical Museum, and the Cultural Center of Iowa. These are just a few of the great places one can visit during a trip to the city. It would be a tall order to visit all of these places in a single day, so visitors should plan accordingly to be able to take it all in! 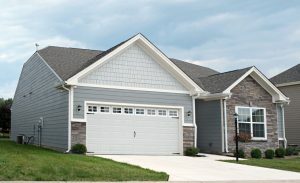 Greiman Construction Services is a Cedar Rapids roofing contractor that is dedicated to providing professional service. If you need more information for an upcoming roofing project, be sure to give us a call. When we received the call, we assured them that we would meet them at their property at a time that could work with their schedule. It is always important for us to act with honesty and integrity, and that means being transparent with our process the whole way through. We met with the homeowner and inspected the damage. It certainly was pretty severe damage from the storm, as the roof almost looked as if a boulder had hit it! However, the extent of the repairs were perfectly within our wheelhouse, so we were able to take on the job. We started that process by providing the homeowner with a detailed estimate explaining exactly what would be doing and what the costs would be. After the homeowner had a quick conversation with his spouse, they were ready to go. We scheduled our team to start work later that week. Thankfully, the stormy weather didn’t persist. Our crew had great fall weather on their backs as they worked to repair the roof. During the repairs, we were able to suggest a couple of maintenance items that the homeowner agreed to. They weren’t overly extensive or expensive, and they seemed happy to be working with a company that paid attention to the details! We just wanted to make sure that they would be protected by the roof over their heads if a severe storm came through again in the future. Once we were finished, the homeowner was very pleased with a job well done. He remarked that it looked like it had never been damaged in the first place, and was thrilled at how easy and painless the whole process was for him. It definitely was satisfying for our crew members to hear the positive feedback, and of course to have completed another job well done!